8th grade students, applications are open for DC Photographers! Would you like to hone your photography skills, document our DC trip and contribute to our DC slideshow? Sign up by the end of the day on Monday, January 6th! Bring your original artwork, writing, costumes, etc. about your favorite books, TV shows, movies, anime, etc. Celebrate 50 Years of Dr. Who! Join us to celebrate 50 Years of Dr. Who!!!! RSVP by Monday, December 9th! and make sure to hand in a signed permission form! What: Celebrate 50 Years of Dr. Who! Why: Um, 50 Years of Dr. Who! Please note that we will be meeting at the Wayland PUBLIC Library. Remember your strategies from 6th grade! Then go and search individual keywords in the library catalog. Gaming in Your Library Day 11/14/2013! THIRD International Gaming in Your* Library Day Celebration! First thing: Remember your Information Investigator Skills and GRAPES! What question(s) do you need to answer? What keywords might help you find the right information? What sources will help you find the information in the most efficient and effective way? Encyclopedia Britannica: Remember "clean glass" of water? This is a good place get enough of a background on your country and to add important words to your keyword list. You'll probably also find some great notes, and don't forget to look at the pictures! Use your keywords! Use one in the index, and another on the page! Search for one, then cmnd-F another one in the document! Books will most likely be in the geography section (910's) or history-by-country section (946, 970-972, 980-989), but you will also find good information in science, cookbooks, architecture, arts, ancient history, etc. Some books may be about multiple countries in a region and you will need to use the index or Table of Contents to find yours. Webpath Express is a good place to find websites on your topic that are geared toward students k-12. Remember to try different keywords and to use cmnd-F! It's more efficient than searching the internet, but you do still need to make sure that you can understand the information and that it answers your specific information. When you are looking at a resource, remember to use strategic searching! If a website is about art in all of South America, use ctrl-F (PC) or comnd-F (mac) to find the part of the page with your information. It's the first meeting of the year -- YAY! Join us to celebrate Teen Read Week and the WPL winning the grant for the new Teen Room!!!! Click to RSVP by Wednesday, October 16th! and make sure to hand in a signed permission form! Why: It's Teen Read Week!!! The Book Buzzes have been handed in, the planners are full of assignments, the books are flying on and off the shelves... despite the weather, it feels like we've been back for months, not days! Okay, it might not sound exciting, but we have a new tool to use to make giving credit to your sources easier. Being more efficient and effective so you are more organized and have more time for other things? Now, that's exciting! Sign up in the library to come in 1/wk to volunteer during study! For starters, we have electronic (pdf) copies of Calliope, Cobblestone, Dig, Faces, Iguana and Muse. If you need to password, please come to the library. THE WPL GOT THE GRANT, YAY!!!! Thanks to last year's Teen Library Advisory Group for your input! The next step is helping the WPL make the new Teen Room happen! We'll also do some of our old standby activities, like Teen Read Week, Gaming in Your Library Day and an end-o-year celebration. The rest is really up to you, so come to our next meeting: Friday, October 18th. Help take pictures for the yearbook and get your work in print! Bonus: Starting last year, members of the Yearbook Club got to layout pages themselves. Bring your sense of style to meetings with Ms. Galvani! TH 6/13 = Last Teen Library Advisory Meeting of the Year! Join us at the last Teen Library Advisory Meeting of the year! Why: It's almost the end of the year! Click to RSVP by Monday, June 10th! and make sure to hand in a signed permission form! Some of these you will also find on your class slideshow. If you can't understand it, you can't put it in your own words. Tues. 4/23: Library Advisory Group-Anime Club Special Meeting! Remember when our last meeting got snowed out? Come to the rescheduled Library Advisory Group-Anime Club Special Meeting! Join the Teen Library Advisory Group and the WMS Anime Club for a special joint meeting! We will meet in the WMS Library to share book recommendations and help the WPL shape the Manga collection for the new Teen Library Area! These resources are for the 6th grade Africa Projects. Before you start, remember that it is always useful to come up with some keywords. Even if you don't know anything about your country, you can probably come up with some keywords just by looking at its location on the map and thinking about your prior knowledge about Africa. Use the catalog to find books about your country, continent, or other keywords connected to your prior knowledge. We also have some other books borrowed that aren't in the catalog. 3/19: Library Advisory Group-Anime Club Special Meeting! 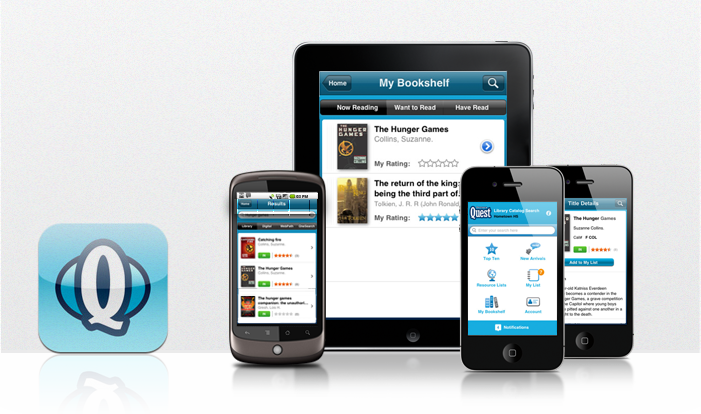 Access the WMS Library on the go! Are you in class with an ipad? At home with a phone? Ask an adult about using an app to access the library catalog! Available in iOS and Android formats! Image at http://www.follettsoftware.com/_files/fsc/file/fsc_cmsuploads/mobile-destiny%20header.png used with permission. 8th gr: Want to be a DC Photographer? The time has come... we're gearing up for our trip to DC, and one of the parts of this experience is selecting students to help document it for the slide show. Are you interested in being a DC Photographer? Participate in training classes and online activities to learn about photography (during study, lunches and at home). Help your HR select a homeroom song to be included in the slideshow. Take care of all equipment loaned out to you. Actively work during 2-4 periods (or after school times) during the week of April 22nd. Sort photos and select the best 32 that both includes everyone and tells your HR story. Fill out the form by the end of the school day on Tuesday, February 26th. We will let you know about selection by Friday, March 1st. If you are selected, you must attend an introductory lunch meeting on Tuesday, February 5th. If you haven't yet seen the list, this year's ALA Youth Media Awards were announced earlier this week! Click to see if you agree with the judges' opinions for this year's winners! For lists of recommended books, you can always click on the "Reading" link on the toolbar at the top of this page.